Decades in the making, the Shenmue I & II HD Remaster came out this week, bringing with it waves of nostalgia and a reminder that things are sometimes just as we fondly remember them. So how do the Shenmue I & II ports stack up to the original Dreamcast installments? Hang on, we’re going for a ride. Back in 1999, before a good majority of those of you reading this Shenmue HD Remaster review were even born, the SEGA Dreamcast hype was strong. We had hits like Sonic, Crazy Taxi, Virtua Fighter, and Marvel vs Capcom. Then came along news of an epic action-RPG adventure from the infamous Yu Suzuki. A legend in the industry, Suzuki-san planned a three part adventure following a young man’s journey to avenge his father and unlock an ancient mystery. He had us wrapped around his little finger. Shenmue‘s saga begins with Ryo Hazuki, heir to the Hazuki dojo and fighting style, witnessing the death of his father at the hands of Lan Di, a Chinese martial artist looking for a pair of ancient mirrors. 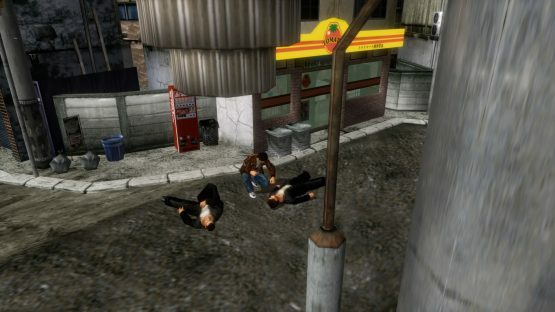 Ryo’s story begins in his home town of Yokosuka City (Shenmue I) and across the East China Sea to the hustle and bustle of 1980s Hong Kong (Shenmue II). Because Shenmue I & II are ports of the originals, this means we have to suffer through those same awkward and stilted conversations with the locals. The real disappointment for me was discovering that the voice-over recordings hadn’t been cleaned up and optimized for the port. I knew they wouldn’t be re-dubbing or fixing the horrible dialogue translations, which made this a much tougher pill to swallow. Voice-overs aren’t all that remains the same. Ryo’s stiff and unforgiving character movements are exactly as janky as I recall. Holding in L2 to look around and target on specific items you want to look at is much easier in Shenmue I than Shenmue II, but neither are perfect. Another major gripe I’ve always had with the series is the way the camera auto-targets items you aren’t looking at, or when you attempt to turn Ryo to the left or right only for him to do a complete 180. Shenmue I & II were always graphical gems for the Dreamcast. (Yes, I know there was an Xbox port for Shenmue II, but I played both on the system they were built for.) Since the Shenmue I & II remaster is not a remake, don’t anticipate them to look any different. They may seem a little sharper, a little brighter even, but things like Tom’s dreadlocks are nowhere near as beautiful in this new era of gaming where individual strands of hair can blow in the wind. Not everyone Ryo asks for information is going to be keen on providing any. Most of the people Ryo will meet are either too busy to talk or locals who will kindly point him in the right direction. But there are those unsavory types, like sailors who hang out at bars or thugs harassing innocent harbor workers who might take issue with him sticking his nose in where it doesn’t belong. Shenmue introduced us to and named the Quick Time(r) Event. Those fast bits of gameplay when you have just a second or two to press the correct button to further a scene have since become a staple in most action-based video games. 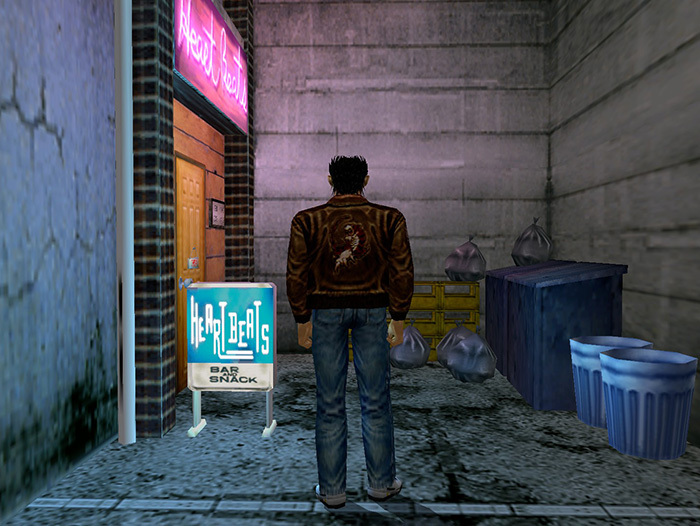 In the Shenmue series, they range anywhere from a simple one- or two-button event to upwards of ten with branching paths. For those of you who didn’t know, Yu Suzuki also created another series called Virtua Fighter. It’s no wonder that Shenmue‘s Battle Mode feels so familiar and fluid, even when you’re facing a steady stream of opponents. There will be times when words and QTEs just aren’t enough, and you need to give someone a proper smackdown. This is where Ryo’s background as a jiujitsu student comes in handy. He’ll start off with a good library of moves to use in combat, which you can supplement by learning from others or purchasing move scrolls. If you’re not the best at fighting games, look for areas where you can practice moves in hopes of mastering them for use in combat. The gashapon had it coming. Really. 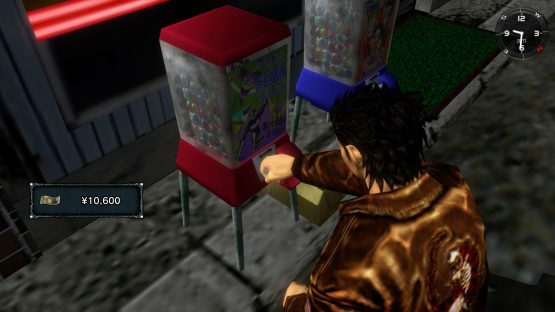 Money makes the world go round; that’s also true in Shenmue. Trips to Hong Kong aren’t cheap, especially once you add in hotels and food. On Ryo’s journey, he’ll have a few different opportunities to earn some cash. In Shenmue I, you can pick up a job working a forklift on the pier. There’s gambling, too. I mean, Ine-san’s 500 yen daily allowance isn’t going to buy you a plane ticket. Once you’ve made it to Hong Kong you’ll have access to two of my personal favorites: carrying boxes and Lucky Hit. There’s also arm wrestling if you don’t like harassing strangers to play street games. All work and no play makes Ryo a dull boy. Bring out his inner child by spending a little of your money to build up his gashapon (capsule toy) collection. There are various machines located around Yokosuka and Hong Kong. You can also import your Shenmue I collection into Shenmue II with a Clear Game save. (This also imports your earnings and moves.) An added bonus in the second game is that you can sell your duplicate toys for cash at the pawn shops. Just keep your eye on the prices and don’t sell when the market value is low. And let’s not forget about hitting up the arcade. YOU Arcade in the first Shenmue will help you train up for those QTEs with the QTE Title machines. If racing games are more your jam, climb onto the Hang-On machine. You can also play darts and Space Harrier, or just listen to tunes from the jukebox. There’s a Pine Game Arcade center in Hong Kong which adds Outrun to the mix. I’m just glad that during my time with the Shenmue I & II remaster I didn’t encounter any game breaking issues. That doesn’t mean it was a flawless port. Since the version that SEGA provided was pre-launch, all I can do is hope and pray that the few issues I came across do not plague any of you. My first big glitch came during two back-to-back cutscenes. While the audio played without issue, my camera decided to fix itself on some flooring (which wasn’t even the same location for the second cutscene). Probably the most annoying of the bugs I had was an audio loop, in which a clanging noise kept playing long after I left the area where it happened, even after hours had progressed in game time. I had to close and restart the game in order to fix it. That was followed with some Advil to dull the headache. I am 99% positive that the Shenmue I & II remaster wouldn’t have been possible if not for the success of the Shenmue III Kickstarter. Let’s be honest, the remaster isn’t perfect and the versions that I played were before any patches had been issued. These are not remakes of the original Shenmue games. We accept these ports as they are, flaws and all, because they have a wonderful and engaging story that has kept fans wanting more for 18 years. SEGA has given us time to replay them as a refresher course while we wait for Shenmue III to come out next August, which is great because I still have a few gashapon to chase down for my collection. Shenmue I & II review code provided by publisher. Version 1.01 reviewed on a standard PlayStation 4. For more information on scoring please see our Review Policy here.